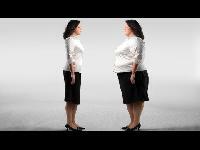 People with Body Dysmorphic Disorder have a damaging preoccupation with their appearance and an obsessive focus on their physical flaws. If that sounds familiar, you might find some relief on the BDD Foundations website. Resources for better understanding the problem, seeking treatment, and spreading the word about the disorder are all laid out here. Founded in 1994 as an alliance to promote and maintain LGBTQ community centers, CenterLinks helpful services have now moved online. Check out all they have to offer from links to health centers across the U.S. to advocacy groups and educational services. 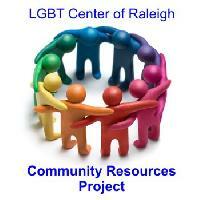 A great resource for folks identifying all across the LGBTQ spectrum, this site includes information on everything from support to education to community organizing. 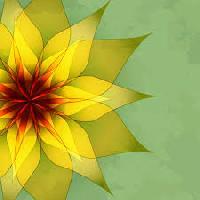 One of the centers best resources is its online volunteer-run chat room. All chats are confidential (read no transcripts or recordings are saved). For anyone with borderline personality disorder, this peer run chat is the perfect online space to ask questions about BPD and its treatment, especially considering that mental health professionals often chime in. It's also a place to share experiences, discuss progress and challenges, and potentially make some new friends who get where youre coming from because theyre right there with you. If youre in a place where picking up the phone seems too daunting, you can still access support through IM Alives virtual crisis chat. Staffed by a network of trained and supervised peer volunteers around the country, IM Alives goal is to empower individuals in despair, address their situation, and help them navigate the darkest and most difficult emotional times. The main goal of this government-sponsored resource Educate as many people as possible about the realities of mental illness in America while offering resources to those seeking help. Consider this your go-to site for a rundown on what mental health disorders look like. It also includes information on how to get help, support someone you love, or start a dialog about mental health in your community. 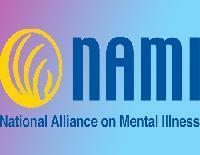 From education about mental illness to updates on insurance coverage, NAMI offers a slew of resources. People who want to get informed about the workings of the mind and our governments recognition of mood and behavioral disorders will get the full scoop here. But arguably the most helpful resource is the heart-wrenching and hopeful personal stories from individuals across the country sharing their accounts of living with mental illness. This impeccable resource enables victims of all types of crimes (think bullying, physical abuse, stalking, and even terrorism) to secure the specific type of help they need. Individuals in need can plug in their desired assistance, from case advocacy to counseling, along with their state and county for immediate, local help ASAP.